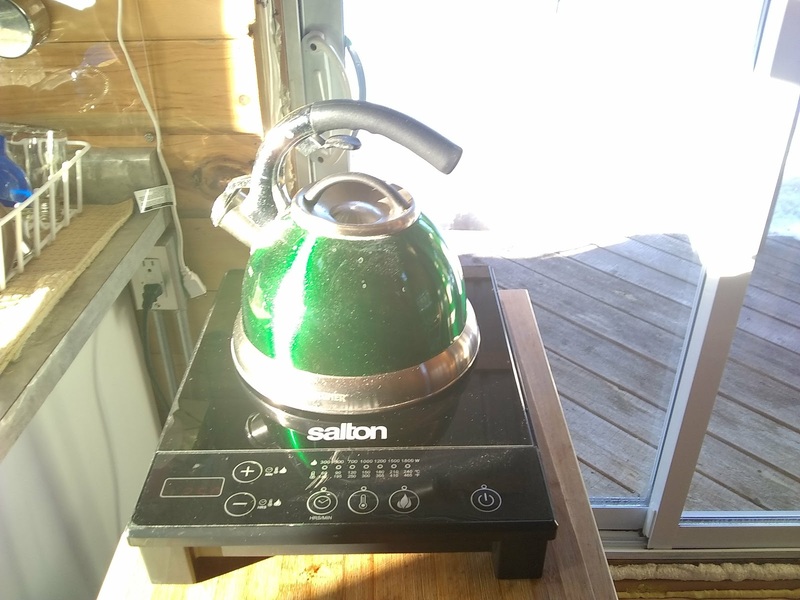 Aiki Homestead: First Electric Water Boiling of the Year! 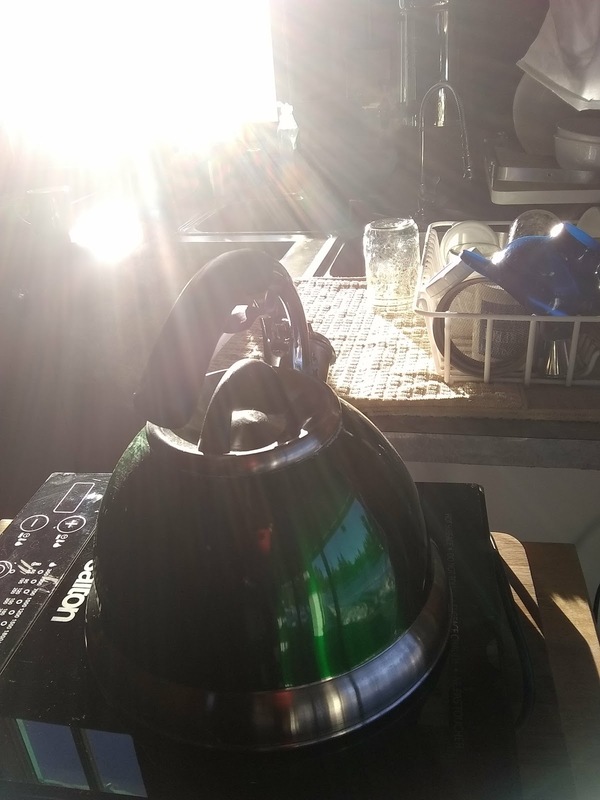 First Electric Water Boiling of the Year! The other day we finally reached a nice, solid float voltage on the batteries with a few hours of good sunlight left in the day, so I opted to plug in the induction stove and warm a full kettle of water using the power of the sun! Whistling merrily along here, but hard to see the steam. Let's try a different angle! Whelp, this isn't much better, but you sure can see how bright the sun is!